Logistica e Trasporti | TML, Logistica a Como e provincia. WE THINK OF RETURN LOGISTICS AS AN EFFICIENT PROFIT CENTER. A consolidated experience in logistics, warehousing and transports, the passion for fashion and a scrupulous attention to detail are the main ingredients of our work. TML was born in 1999 from a Monti family intuition. Strengthened from a pluriannual experience in national and international transports, TML srl quickly established itself as a pillar in the industrial logistics sector, specializing especially in fashion and home furniture. From over forty years, our mission consists in operate with efficiency, devotion and versatility to manage logistic flaws and activities which often the client doesn’t have time and resources to invest in. Working with some of the most famous brands in the fashion world has further sharpened / enhanced our competences and our operating structure, allowing us to reach a new level of efficiency only exclusive to our company. Applying high quality standards, constantly attempting to optimize costs ad procedures at any level of the supply chain. The extreme flexibility of our work ethic allows us to evade punctually end efficiently even the most challenging and complex jobs. TML is specialized in developing logistic cycles finalized to all the different products in the fashion world. For this reason, we offer a services portfolio which goes from receiving to stocking (every article being assigned a unique reference) to shipping using vehicles equipped for handling hanging clothes. 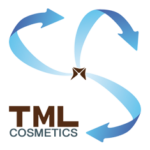 TML offers a logistic service advantageous and specific to the cosmetic sector. Answering to different companies operating in the market of beauty and personal care, establishing itself as an excellency partner, qualified and technologically advanced. Specific areas of our warehouses are dedicated to the industrial and pharmaceutical sector, in which the goods are managed by pallet. It is possible to use our spaces as a deposit with the advantage to benefit of all our services. Our warehouses are strategically dislocated in the area north of Milan and in close proximity to the Swiss border. They cover altogether an area of 16000 square meters. Everyone of our warehouses is equipped with technologies and advanced processes for handling, stocking and shipping goods. With the goal to provide the best and most satisfactory service for our clients, we keep researching and innovating to make our systems more and more efficient and effective.